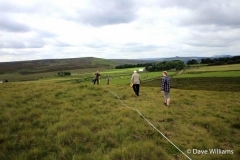 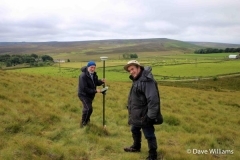 In July 2015, whilst returning from a different part of the Moor, John Barnatt and Phil Shaw recognised an early lead smelting site on Lodge Moor overlooking Moscar Cross Farm. A return visit by John, Phil, Richard Carr and Chris Heathcote shortly afterwards led to a report written which you can see here. 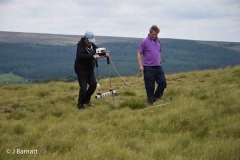 Further visits were made to the site with David Kiernan, the author of ‘The Derbyshire Lead Industry in the Sixteenth Century‘ who wrote a report, arguing a change of emphasis with regard to the site. The Lodge Moor mound is the most intact known bole smelting site in the Peak District. 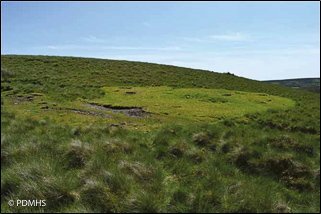 Its slag heap is undisturbed, and contains large pieces of slag including pieces with only half smelted galena. 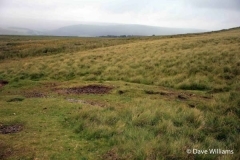 The remote moorland location means it escaped having the material taken away in postmedieval times to be re-smelted using more advanced techniques. 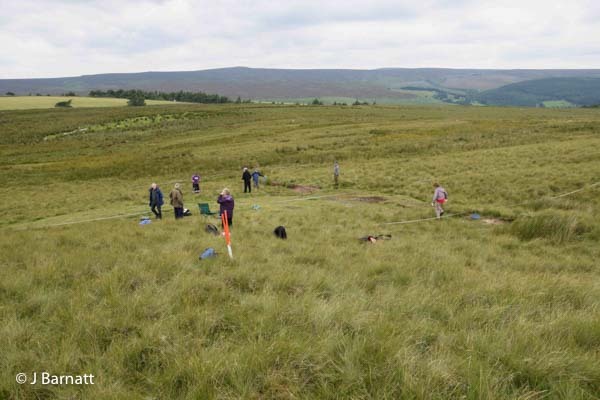 The date of the smelting on Lodge Moor is not known, but a medieval rather than early post-medieval date is perhaps most likely, given the lack of historical documentation. 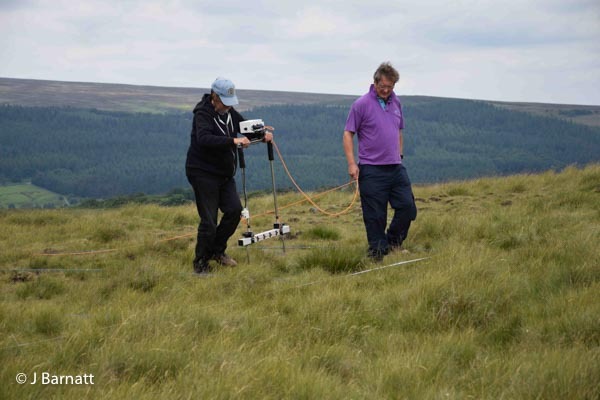 This new discovery adds to the small list of known early lead smelting sites well to the northeast of the main lead mining areas. 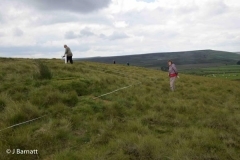 These include several sites in the bottom of the upper Derwent valley and tributaries, two sites on the eastern flank of the Derwent valley at Bole Low and Lead Hill on Derwent Edge, and another site further east on Bole Edge at Strines. 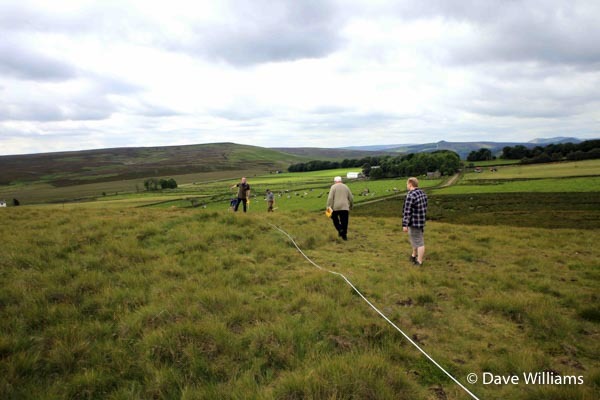 On 6th-7th July 2016 a group met at the site to carry out surveying work. 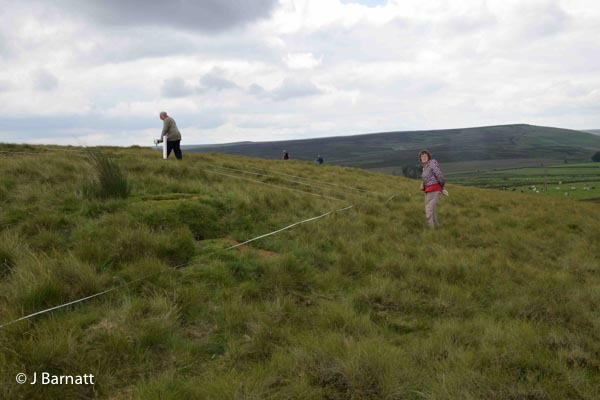 Below are a few photographs from those two days.